As we all know to rank high in Google search results we need to improve our SEO search engine optimization and we need to create high quality backlinks. These are the two most important things you need to do right now to improve your website ranking. As we know there are two SEO link building strategies to create free backlinks i.e nofollow and dofollow. DoFollow backlinks works as link juice for Google while nofollow backlinks doesn't count by Google but still they're important if they are coming from PR9 sites. You might have noticed that despite of having high quality content and great on-page and off-page SEO, many blogs or websites are unable to get top position in Google search due to lack of quality backlinks. So right now you must be thinking how to build backlinks. Well you can build backlinks by writing guest post, commenting, joining forums but all this stuff will give you maximum PR6 site backlinks. But in this post I'll show you to get free high pr backlinks. 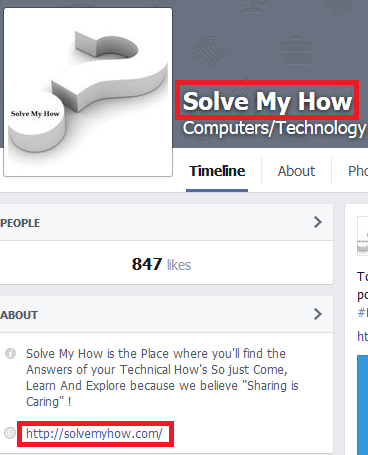 But in this post I'll show to how you can get backlinks from social networking sites. Google+ is one of the leading social media website which gives you nofollow as well as dofollow backlinks for free. So, see How To Get Backlinks From Google Plus. You do have Facebook account right and you do have fan page of your blog. If you don't have your blog's fan page then simple create one and fill all the suitable details. Linkedin is the world's largest professional network. You can create connection with the professional people in Linkedin. If you don't have Linkedin account, then simple create it for free. Start filling all the professional and personal information. While filling details you will also asked to enter your website URL then simply enter your blog's URL and you will get Linkedin dofollow backlink. Linkedin also allows you to share post as Facebook and Google Plus. So, you can also share your blog post's URL to get nofollow backlinks from Linkedin. Pinterest is the fastest growing social media site as compare to Facebook. It's alexa rank is 27. Pinterest allows your to create suitable boards and you can share your blog's images. Its true you will get more traffic from Pinterest than Facebook. So, simply create your free account with Pinterest. Fill all the suitable details. Enter your blog's URL. Verify it by inserting the code into the header part of your blog's template. That's it now share as many as images you want by mentioning your blog's link. This will also improve your website traffic. YouTube is the 3rd most visited website in the world. You can get nofollow and dofollow links from YouTube. You can easily add your blog's link in about me or description section but this will only give you nofollow backlinks. So, to get DoFollow Backlinks from YouTube you have to apply some tricks. Vk.com is the pr9 dofollow social media website plus its the largest social network in Europe. It looks pretty similar to Facebook. Vk have alexa global rank 23. 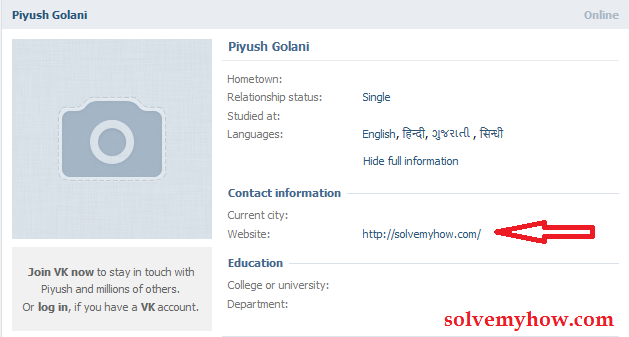 Its pretty easy to use so simply register yourself with vk.com and fill your complete profile. Enter your blog's URL in "Contact Information" and you will easily get pr9 dofollow backlinks. Flickr is again the image sharing website pretty similar to pinterest and that's why it is used by many blogger's. You need Yahoo account to create account with Flickr. So simply create free account with Flickr and edit your profile. Go to "Edit your profile information" and add your website URL to get PR9 backlinks. You can also add your blog's URL into "About Yourself" description. Imgur is free image hosting website. Imgur have alexa rank 45. Daily millions of people are visiting this site and uploading images to get free backlinks. Yahoo answers is one of the most favorite "question - answer" site in the world. Yahoo is PR9 site and its alexa rank is 4. So millions of people are visiting yahoo answers daily either to ask or answer the questions, to get backlinks and traffic. Google Drive is the free cloud service offered by Google. So, you can access your data from any device and from anywhere in the world and its always the plus point to get dofollow backlinks from Google. 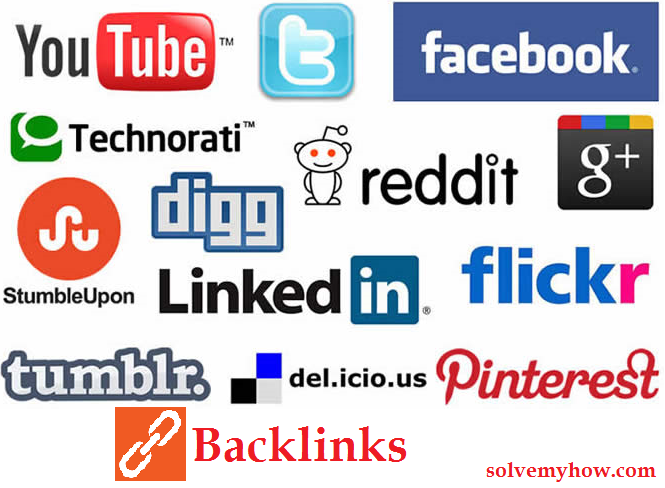 So, these were the top social media sites which gives you PR9 backlinks. Hope you found this article helpful and would be able to create some quality backlinks. Please do share this post with your Google Plus and twitter friends so they can also be able to create free high quality backlinks. You can also subscribe for SolveMyHow newsletter to get free Blogging, WordPress, SEO and Hacking tips right into your inbox.